In a new collaboration, Northwich Folk Club, as the closest folk club to Knutsford, will be hosting the Knutsford Traditional and Folk Session at the Session’s home, The Lord Eldon, on Sunday afternoon. Both groups enjoy diverse talents and interpretations of the broad church of folk music. The session will be run in the style of the Folk Club’s singers’ night, with contributions welcomed from regulars and newcomers alike, be they songs, tunes or spoken word, but with particular emphasis on the traditional music session. Festival goers are encouraged to come along, bring an instrument or a song, or simply to enjoy the atmosphere as audience. 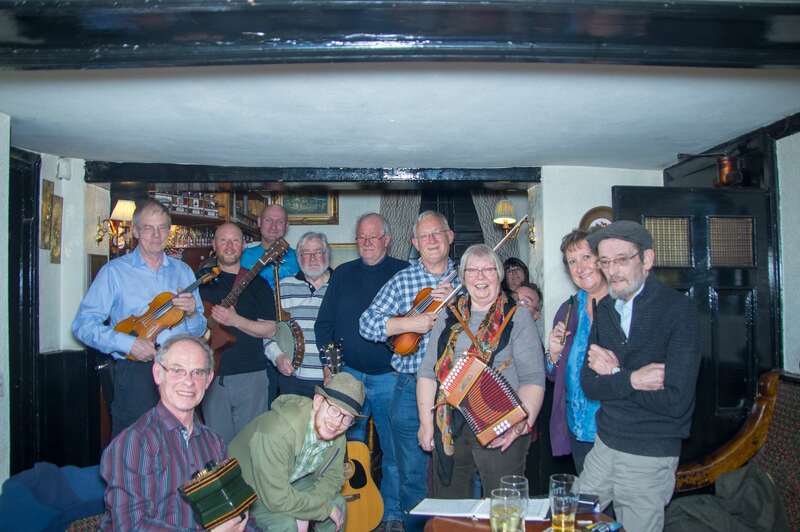 You can find out more about Northwich Folk Club by visiting their website.